Editor’s Note: This article first appeared in the March 2016 edition of TTAC’s Insiders member newsletter. While I do not claim to have a green thumb, I do love my herb garden. I love it for its beauty, but also for its medicinal value – and in fact it only rarely requires a green thumb. Before we had allopathic medicine, herbal medicine was our medicine, and it was relatively non-toxic and quite effective. In fact, herbs as medicine are so effective that in more modern times, numerous pharmaceutical drugs are still derived from plants. When it comes to preventing and healing from cancer, eating fresh herbs is a must. Herbs have numerous anti-cancer benefits. From promoting cancer cell death (apoptosis), to preventing angiogenesis (the growth of blood vessels that supply tumors with nutrients), to preventing and combating inflammation, and more. 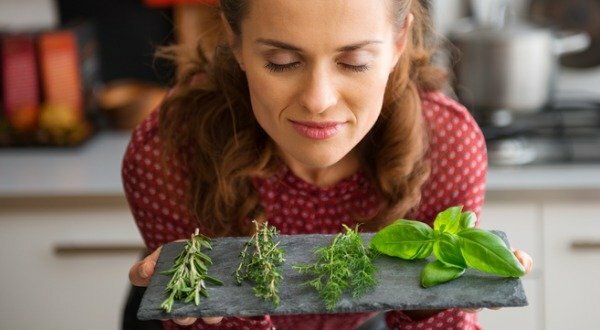 One of the really cool things about garden herbs is that they can balance hormones and boost detoxification – both critical factors for fighting many cancers. Herbs such as oregano, thyme, rosemary, sage, and turmeric promote liver detoxification. 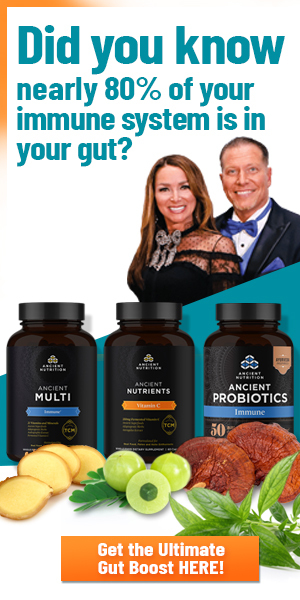 They protect us from the harmful effects of environmental toxins as well as natural toxins such as estrogen in the form of byproducts of our metabolism. Impaired detoxification will result in excess estrogen levels in the blood. 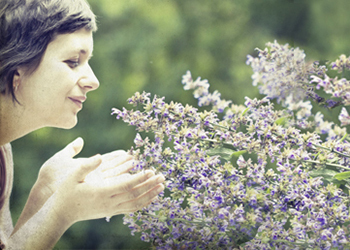 Herbs such as sage and rosemary block and deactivate estrogen and boost the production of progesterone. Progesterone is necessary to oppose estrogen and shut off the replication of cancer cells, causing them to die. Studies have shown that women who are deficient in progesterone have a much higher risk of breast cancer. Unfortunately, as we age, progesterone declines faster than estrogen. Also, we are increasingly exposed to chemical estrogens in our homes and work places as well as in health and cosmetic products, further leading to estrogen dominance. Again, herbs knock the socks off of so many cancers – not just hormone driven cancers. Let’s discuss these healing herbs and their actions in more detail, because you certainly won’t hear about herbs as a tool to prevent or heal cancer from your conventional family doctor. The two key natural phytochemicals in rosemary are caffeic acid and rosmarinic acid. Both are potent antioxidant and anti-inflammatory agents which help protect the body’s cells from damage by free radicals. 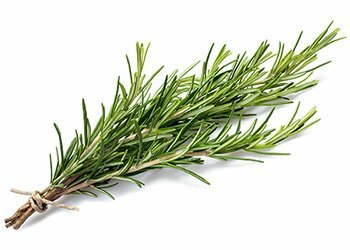 Rosemary also contains terpenes, which are organic compounds that contribute to the flavor, scent, and color of plants. These naturally occurring substances encourage cancer cells in tumors to stop reproducing and eventually die. Rosemary has been found to detoxify substances that can initiate the breast-cancer process and it stimulates liver enzymes which inactivate estrogen hormones. Research done at the State University of New Jersey demonstrated that rosemary extract was able to inactivate excess estrogen by stimulating the liver enzymes responsible for metabolizing estrogen. Rosemary can prevent the formation of heterocyclic amines (HCAs). These are the carcinogenic compounds that form along with polycyclic aromatic hydrocarbons (PAHs) when beef, pork, fish, or poultry is cooked by pan frying or grilling directly over an open flame. 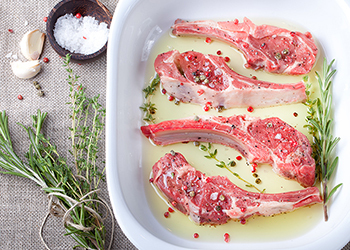 So if you crave fried or grilled steak or chicken, consider a rosemary based rub or marinade. Extract of rosemary leaves also blocks oxidation of edible oils or fats. Oxidized fats are associated with increased cancer risk. When taken during chemotherapy, rosemary can help overcome treatment resistance by blocking the anticancer drug efflux transporter P-glycoprotein. Add Rosemary to: roast potatoes, soups, stews, meat, and poultry. Parsley has potent anti-inflammatory and anticancer abilities. Natural chemical compounds known as phytochemicals in parsley can slow the speed of cell division, leaving time for the cell to correct DNA mistakes and activate apoptosis (cell death). Research shows that one particular compound known as apigenin (an oil also found in abundance in celery, artichokes, along with herbs such as parsley) may well be the key agent for killing breast and pancreatic cancer cells. It has been credited with preventing angiogenesis, the growth of blood vessels that supply tumors with nutrients. One can think of it as a natural, non-toxic form of Avastin, a pharmaceutical drug that comes with a long list of side effects, some of which are life-threatening. Apigenin also induces cell death, reduces expression of the MCF7 gene (which is associated with cancer growth) and blocks the activity of the so-called “proto-oncogene” HER2/neu. Overexpression of HER2/neu is associated with an unfavorable prognosis for the development and progression of certain aggressive types of breast cancer. Add parsley to: salads, tabbouleh, soups, stews, sauces, and vegetables. 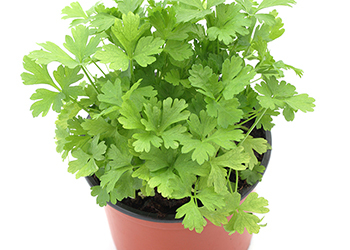 Or chew fresh parsley for a natural breath freshener. Dill possesses antibacterial, antioxidant, and other medicinal properties. This is mostly due to the monoterpenes, which are natural chemical components of fragrant oils obtained from leaves, flowers, and fruits. These compounds stimulate and activate the enzyme glutathione-S-transferase, a powerful antioxidant that neutralizes carcinogens such as free radicals. Dill also aids in digestion as the essential oils present in dill activate the secretion of bile and digestive juices and stimulate the passage of bowel movements. Dill is also an excellent remedy for insomnia, thereby helping people get restorative, cancer-preventative sleep. 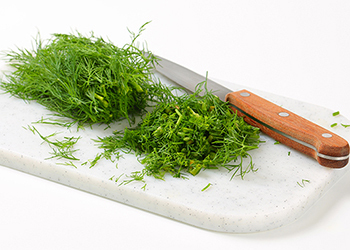 Add dill to: salmon, cucumber salad, roasted or steamed carrots, potatoes, zucchini, salads, and sauces. 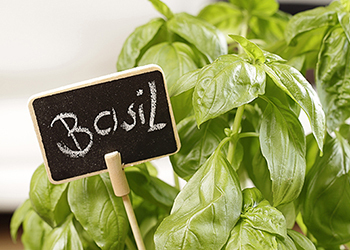 Basil has powerful anti-inflammatory and antioxidant properties. It contains natural compounds known as flavonoids that help shield cell structures from radiation and oxidative damage, and may also protect liver cells. Both fresh basil and basil oil have strong antibacterial capabilities. By adding the herb or oil to your salad, you can ensure that your raw vegetables are safe to eat. Add basil to: salads, sauces, sandwiches, and pesto. Sage is a member of the mint family. Sage contains a variety of volatile oils, flavonoids (including apigenin, diosmetin, and luteolin), and phenolic acids, including rosmarinic acid. All of these components combine to provide powerful antioxidant and anti-inflammatory activity. Sage can increase the flow of bile and supports liver detoxification. Sage contains high levels of natural compounds known as phytoestrogens. Phytoestrogens bind to the estrogen receptors of cells, but they do not stimulate the cells as strongly as estradiol (the natural estrogen). In fact phytoestrogens are roughly 1000 times weaker than estradiol. By binding to the body’s estrogen receptor sites, phytoestrogens effectively satisfy the receptors blocking estrogen and are thus believed to decrease cancer stimulation. Phytoestrogens also suppress tumor growth, even in tumors that are not hormone-dependent. Research shows that phytoestrogens are inhibitors of breast, uterine, bowel, prostate, melanoma, and other types of cancers. Add sage to: eggs, lamb, white beans, pizza crusts, breads, roasted beets, roast chicken, soups, sauces, and stews. Clary sage is a close relative of the common garden sage. Its oil has been used to improve vision and soothe tired or strained eyes and is often added to soaps, detergents, creams, lotions, and perfumes. In fact, it is the main component of Eau de Cologne. Research has found that a fragrant chemical compound found in clary sage known as sclareol was comparable in its actions to the anti-breast cancer drug Tamoxifen – without the toxic side effects of this popular pharmaceutical. This suggests the possibility that sclareol might inhibit estrogen, and also may be able to interact with estrogen receptor sites without being toxic to normal cells. Clary sage has shown significant cytotoxic activity against leukemia, breast, and uterine cancer cells, inhibiting DNA damage and inducing apoptosis. It has also been found to enhance the activity of some anti-cancer drugs. Clary sage is most available in the form of essential oils. This oil should only be used topically with carrier oil or in a diffuser, and should not be used in combination with alcohol as it may increase drowsiness. 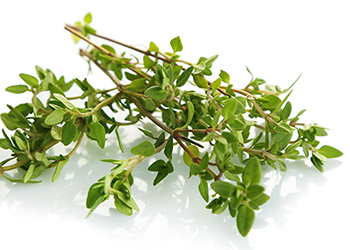 Thyme contains phytochemicals known as terpenoids that are recognized for their cancer preventive properties and medicinal uses. Rosmarinic, thymol, and ursolic acids are the terpenoids in thyme that possess anti-cancer properties, which make thyme a powerful antiseptic, antibacterial, and antioxidant. Add thyme to: roasted carrots, squash, eggs, bean dishes, chicken, soups, sauces, and stews. 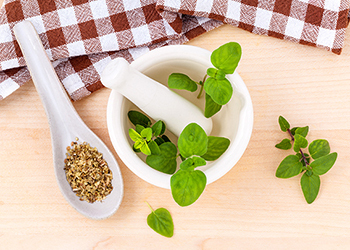 Oregano contains the phytochemical quercetin, which is known to slow cancer growth and promote cell death. Additionally, oregano also contains anti-inflammatory, immune-supportive, antibiotic, anti-mutagenic, antifungal, antiviral, anti-parasitic compounds. It encourages apoptosis (cell death), making it a powerful anti-cancer herb overall. Oregano is particularly effective against leukemia, prostate, breast, and colon cancer. Add oregano to: pizza, tomato sauce, chicken, vinaigrettes, seafood dishes, and beans. Mint contains phytochemicals with anti-bacterial and anti-inflammatory properties, and it cuts off the blood supply to tumors, resulting in their death. Mint promotes digestion and inhibits harmful bacterial growth in the mouth. Studies have tied poor oral health to cancer and poor digestion to the malabsorption of key nutrients critical for the prevention of cancer. Mint helps relieve congestion and cough; helps relieve depression and fatigue, and may protect the liver too. Research shows that mint protects against radiation, including radiation therapy commonly used in cancer treatment. This so-called “radio-protective” effects are likely due to free radical scavenging, antioxidant, metal chelating, anti-inflammatory, anti-mutagenic, and enhancement of the DNA repair processes. 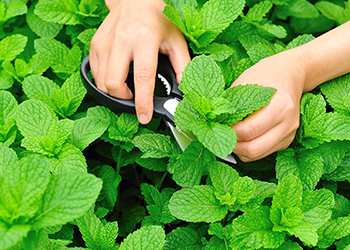 Researchers at the University of Salford in Manchester, England, have shown that peppermint has an impressive ability to block tumor growth. They found that an extract of peppermint was able to block oxygen flow to the tumors by attacking the blood vessels. Interestingly, it only attacked the blood vessels associated with the tumor, leaving healthy vessels alone. Add mint to: pulse or blend with olive oil to drizzle on grilled fish, chicken, artichokes, or asparagus. Add to tabbouleh or use the leaves to make tea. 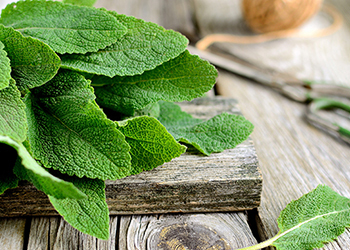 Chew on fresh mint to freshen breath and reap the anti-cancer benefits. Cilantro (also known as Chinese parley or coriander) helps to remove heavy metals like mercury and lead from the body. The antimicrobial and heavy metal chelation factors of cilantro have led to its recent use in many “detoxification” juices and drinks. Cilantro is also a strong antioxidant, thus decreasing oxidative stress. Other benefits include: anti-anxiety properties aid with sleep, helps lower blood sugar, and supports cardiovascular health. Add cilantro to: guacamole, curry dishes, soups, salads, stews, and fresh juices. In general, it’s a good idea to eat fresh organic herbs daily, and at various times throughout the day for maximum health benefits. They add a boost of flavor to any meal while also giving your body the tools it needs to prevent and fight many chronic health conditions, including cancer. Can’t seem to get enough herbs in your diet? Consider herbal teas and essential oils. Now that you know something about the amazing power of these healing herbs, why not begin to incorporate them into each and every meal! Quality essential oils are readily available, but do not consume ones not intended as supplements without first seeking the advice of a knowledgeable practitioner. Some essential oils can be toxic when taken orally in the wrong dose. One garden herb you may specifically want to restrict is tarragon, which research shows could be mutagenic, meaning it can damage DNA. So while tarragon does have medicinal qualities, eating too much of it might not be a good idea. If you really like the taste of it, try substituting fennel, chervil, or anise seed instead. Eating right is one of the most powerful ways to prevent, treat, and beat cancer. Click here for healthy recipes, foods that fight cancer, and much more! Herbs have numerous anti-cancer benefits. 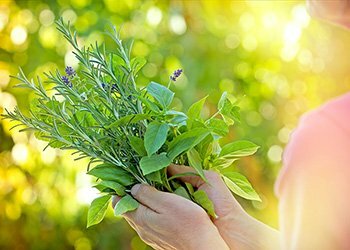 Garden herbs can balance hormones and boost detoxification – both critical factors for fighting many cancers. Did you know that although your site shows a link to Pinterest, I am repeatedly blocked from sharing your articles on Pinterest? The reason given is because “it might lead to spam.” I would very much like to save and/or share some of the vital information you post. Is there a way your organization might resolve this with Pinterest on your end? Thank you. Thanks for sharing this with us! I will let the team know the issue. In the meantime, please try clearing your cookies and cache. What type of doctor would one search for who would be experienced with herbs? 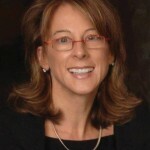 Your info is wonderful as a student of complimentary medicine your the greatest help. Thankyou. This is fantastic to hear, Tracey! We’re happy to hear this info was helpful to you. Wishing you endless blessings, love, and success! Glad to see your putting it out there how important herbs really are not , just for flavor. !! I grow most of them myself! And have known the benefits for years. LOVE to hear this, Marlene. Thanks for sharing your support and feedback! Can one boil or steep the herbs like a herbal tea, will they have have an effect?